They Say: The SOBO is best suited for the recreational day hiker, hiking on developed and/or well-groomed trails and in dryer conditions. We Say: Danner nailed it. This Cadillac of comfort’s midsole is reinforced with a nylon shank and TPU plate (geek speak for impact-resisting plastics), providing bombproof protection and superior foot support. High Points: Breathability. Zero foot rot, even on one tester’s 100-degree, Las Vegas hike. Back to the Drawing Board: The laces refuse to stay tied. One tester retied her shoes six times in one day. * Weights listed are for pairs in women’s size 7 or men’s size 9. 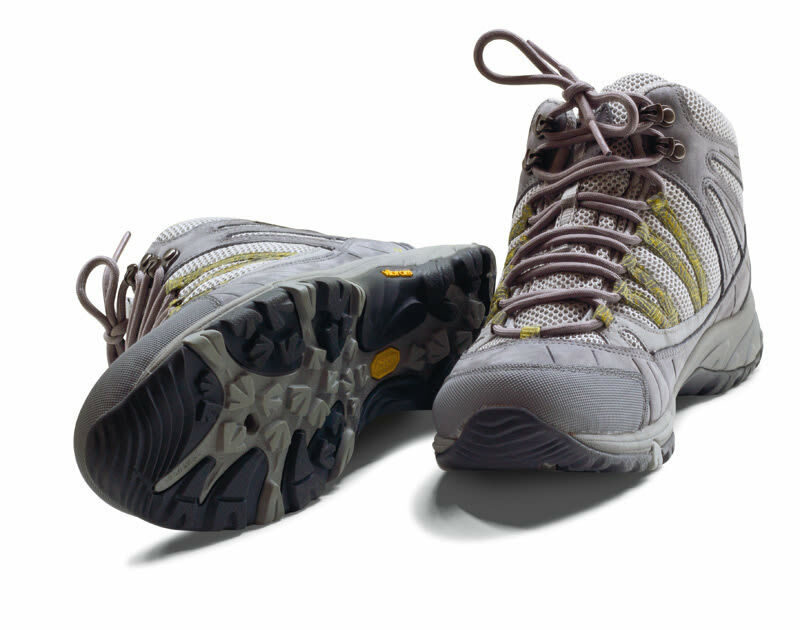 They Say: Light hiking duty, on- or off-trail capable, and comfortable for daily urban life and everything in between. 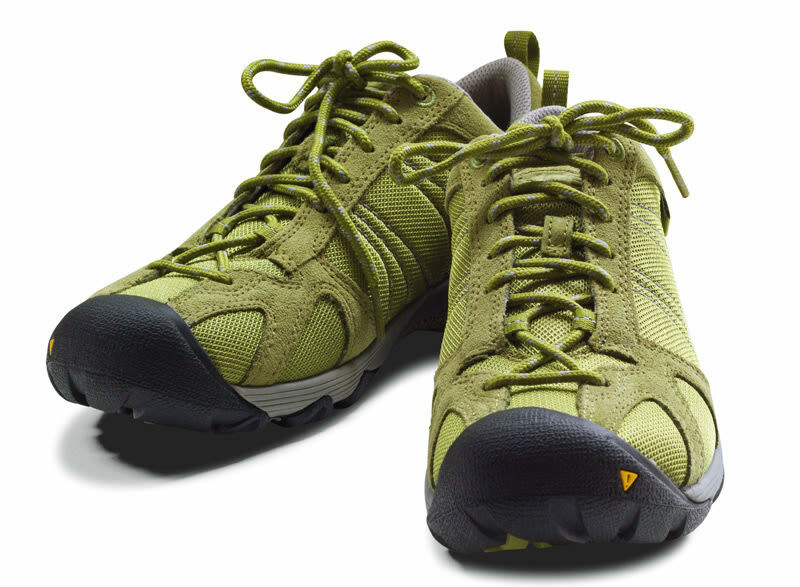 We Say: If it had more cushioning, this lightweight hiker could be an all-around favorite for day hiking in wet or dry conditions. High Points: The Harmony’s Vibram soles clamp like a pit bull onto everything from mud and gravel to wet, mossy rocks. Back to the Drawing Board: A relatively flat, stiff sole means this shoe is probably only comfortable for people with flat, wide feet. 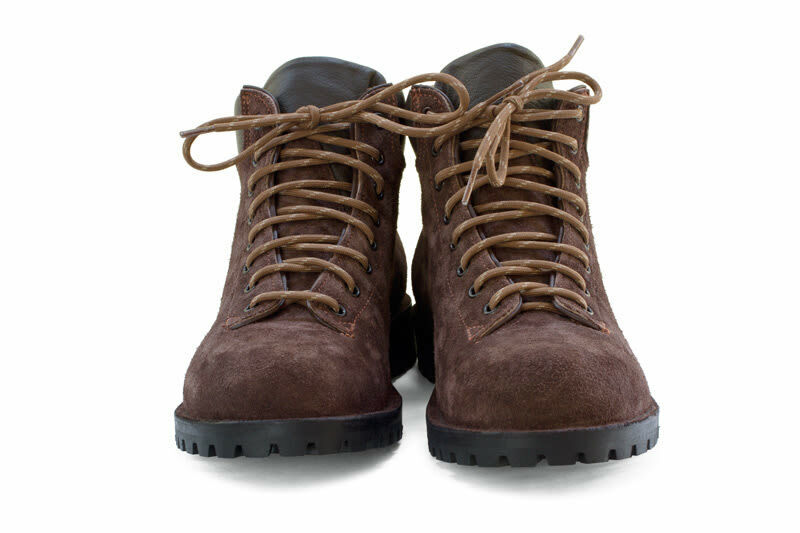 They Say: Our boots are generally used for heavy duty hiking; however, since we do custom boots as well, we can tailor the materials we use to make them lighter weight or heavy duty. We Say: The Pivetta is proof that sometimes less is not more—more is more! Heavier than some household pets, these kicks aren’t exactly svelte, but you’ll hardly care once you hit mile 10 and your feet still feel fresh. 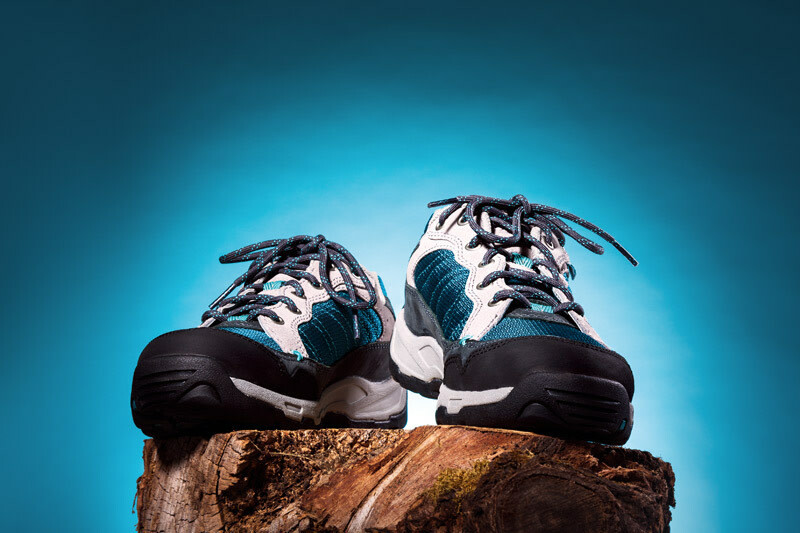 High Points: Crary uses leather cushioning in its insoles, an expensive departure from many trail shoes (which often use paper), but worth it when you’re logging long miles on rough terrain. Back to the Drawing Board: This stout shoe requires a lengthy break-in period. They Say: The ideal footwear for warm-weather adventures, the Ambler Mesh features a highly breathable mesh upper with waxed suede trim, a sticky Active-traction rubber sole, and a moisture-wicking textile lining. It’s a shoe designed to let your feet share in the fresh air. We Say: In warm conditions, our tester’s feet yearned for a bit more air sharing: breathability was OK, but not great. That said, these kicks excelled in the comfort and traction arenas. High Points: The Keen.Cush—a blend of memory foam, cork, and recycled plastic—contours nicely to arches and toes, like a firm pillow snuggling up to your feet.